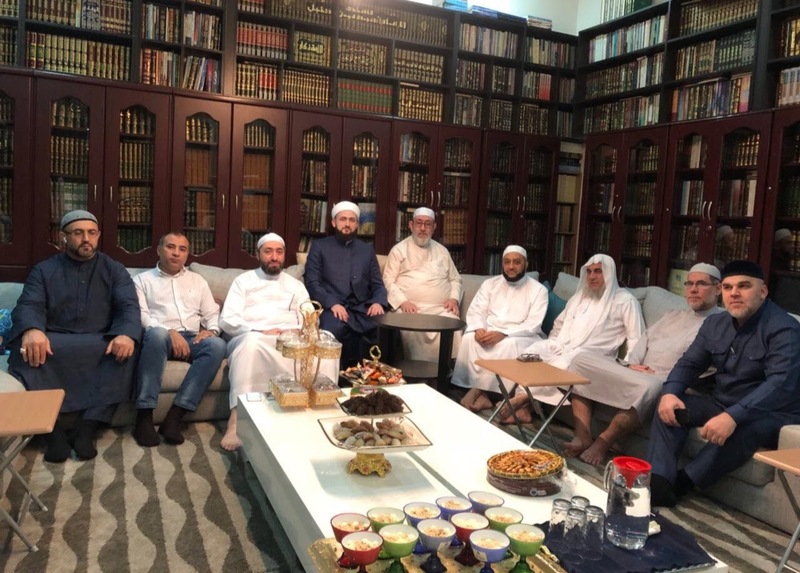 Mufti of Tatarstan Kamil Hazrat Samigullin continues his working visit to the United Arab Emirates as part of the official delegation of the Republic headed by President Rustam Minnikhanov. The Tatarstani delegation is taking part in the VIII Annual Investment Forum in Dubai. 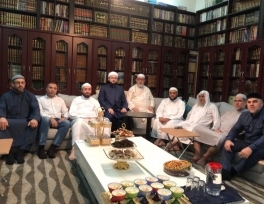 Here the Hazrat's stay was enriched by a meeting with Sheikh Ma'mun al-Rawi who, on the occasion of the arrival of the Mufti of Tatarstan in Dubai, invited him for dinner and organized a majlis with the participation of well-known Muslim scholars. Sheikh Ma'mun ar-Rawi - an Iraqi theologian, is a direct descendant of the Prophet Muhammad (peace and blessings be upon him). Shaykh lives in Dubai, he is the highest-ranking holder of memorisation of the Quran. He is also the chief judge and chairman of the jury in the Quran competitions in the Gulf countries and the chairman of the Quran Committee of the ruler of the Emirates. Kamil Hazrat briefed the Sheikh on the activities of the Muftiyat of Tatarstan on the revival of the national school of the Quran memorisation and told about the measures implemented in the framework of this work: the contests of Quran recitation, preparation of tafsirs in Russian and Tatar, the publication of Quran and other activities. Sheikh, in turn, shared his experience in organizing such activities in Dubai.